In case you didn't hear, the iconic Stardust Hotel and Casino was demolished a few days ago. Following its construction, the Stardust was the largest casino in Nevada with state's largest swimming pool as well. 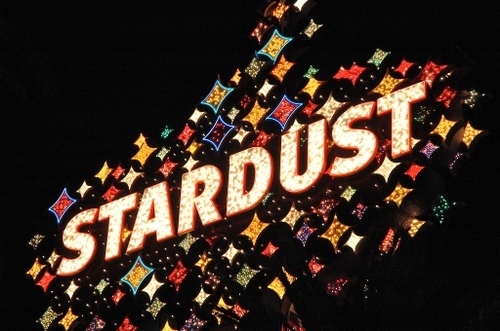 The Stardust sign became an easily-recognizable icon for the city of Las Vegas over the years. For more Stardust related minutiae head over to YesButNoButYes for a great roundup of Stardust related links and photos.